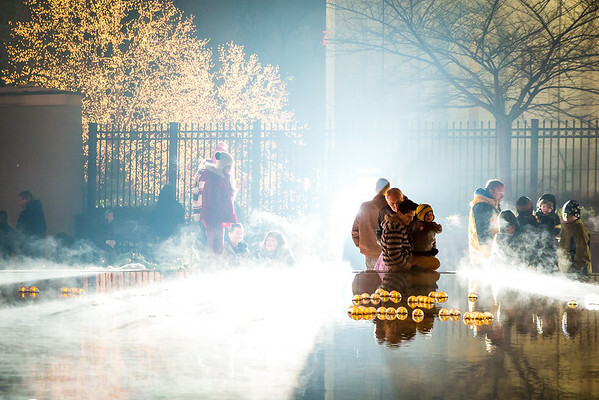 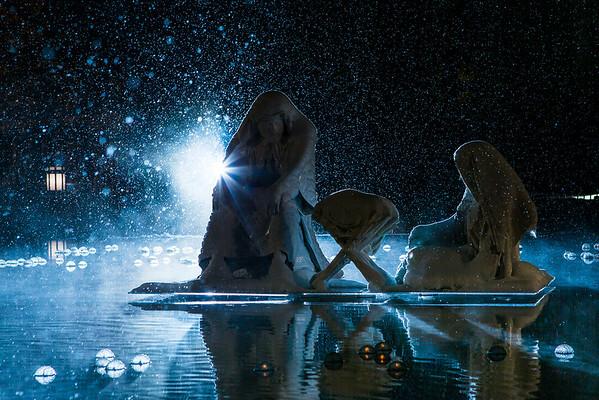 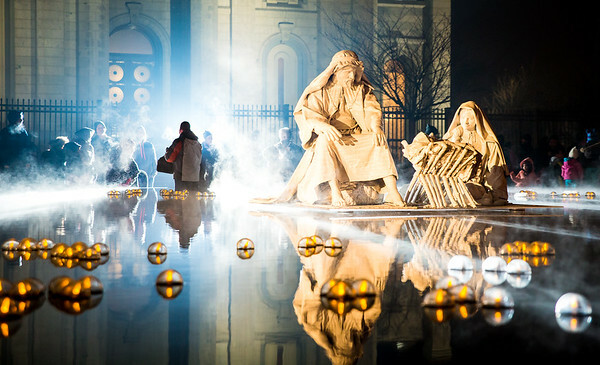 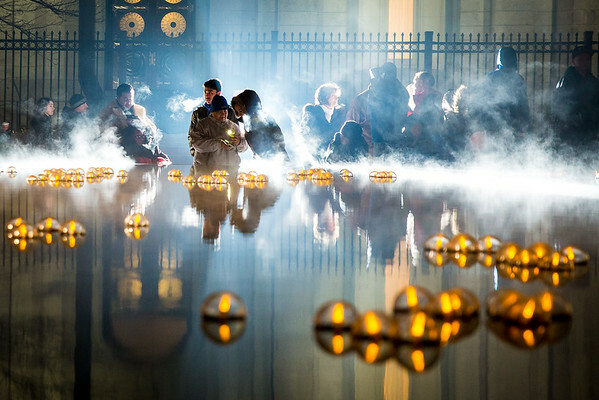 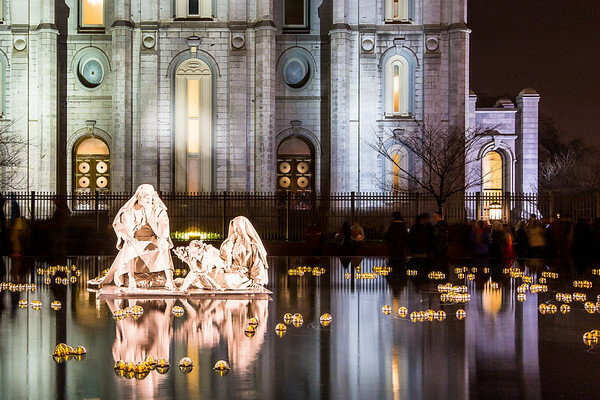 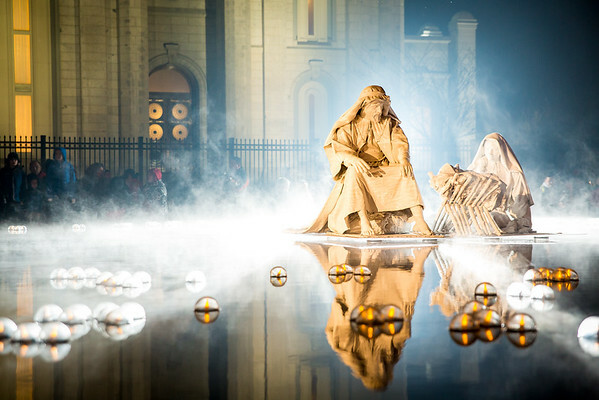 After having such a successful run with the remote flash unit in 2012, my friend Dennis and I returned for another go at Temple Square before Christmas 2013, this time lighting up the steam around the floating Nativity scene in front of the Salt Lake Temple. 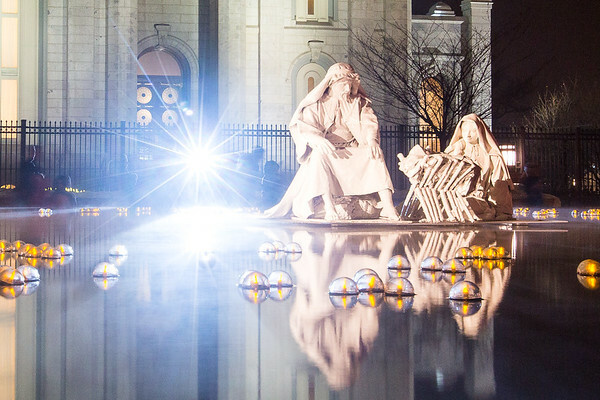 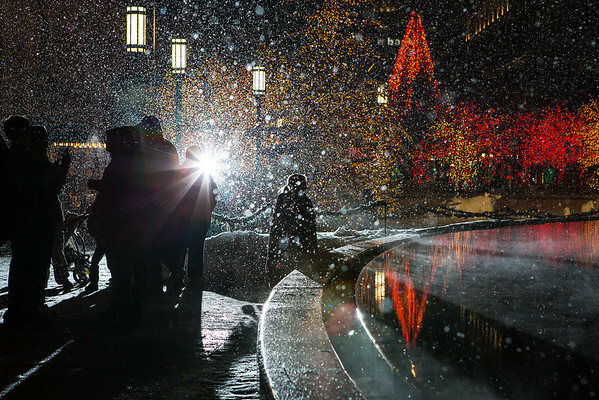 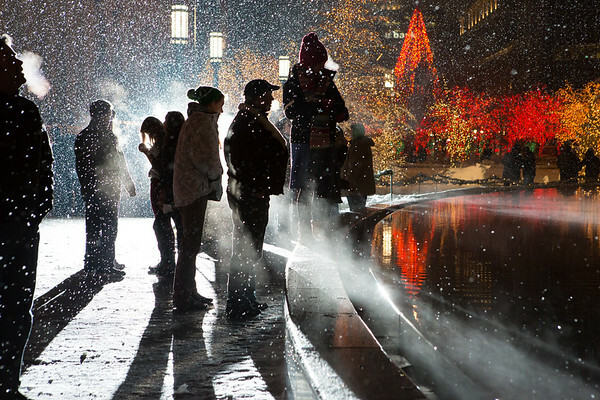 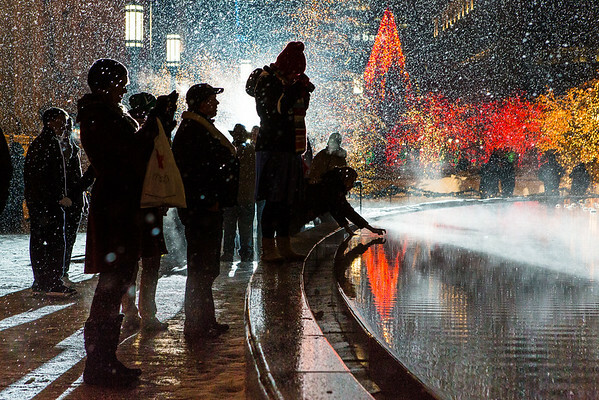 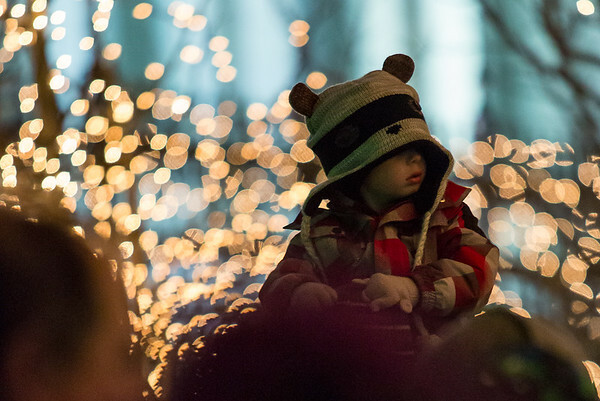 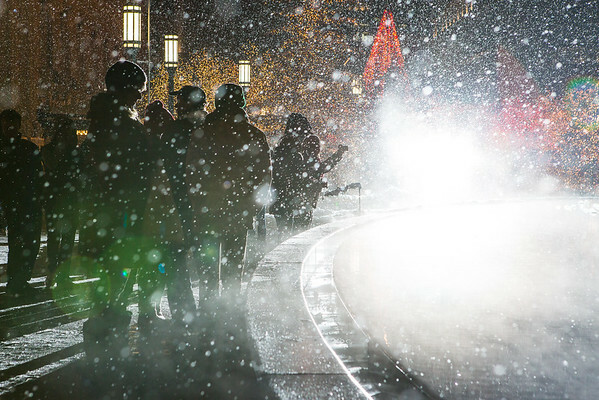 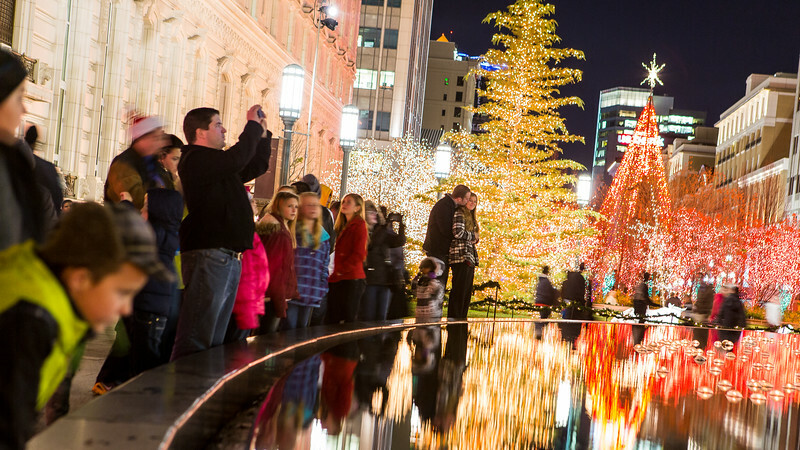 My assignment for Christmas 2013 was to get images of the various patrons on Temple Square who had come to see the annual light display, as opposed to just getting shots of the lights themselves. 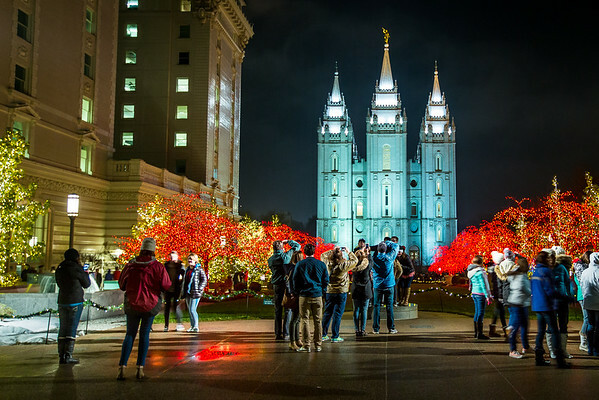 This candid shot of a boy on his dad's shoulders (I actually spoke with them soon after taking this shot, though the "posed" pics didn't look nearly as good) captures that nice intersection between the wonder of the lights and the cold reality of a December evening in downtown Salt Lake City.